THE STORY GENUINELY SHOWS IN EVERY DETAIL THE REALITY I KNOW, AND WAS WRITTEN BASED ON REAL EVENTS. 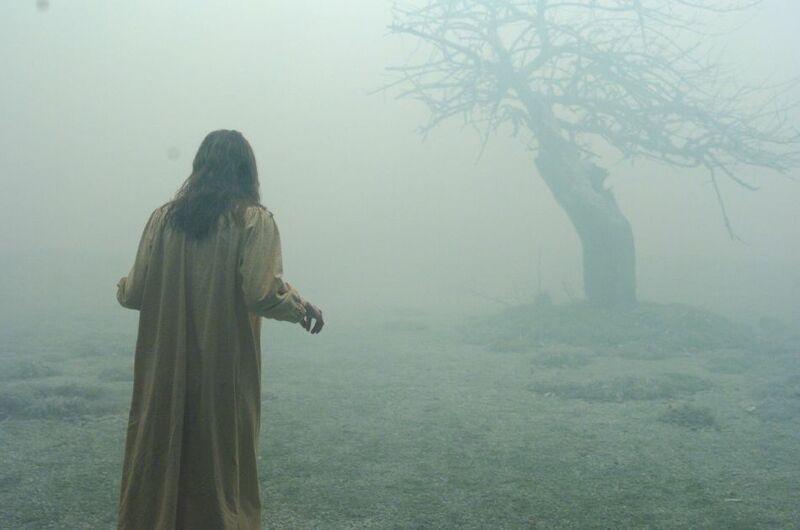 The film begins with the detention of the chaplain, who voluntarily undertakes that he killed Emily, because he was unable to exorcise the devil from her. The lawyer is struggling with faith in God and the existence of the devil himself, and also with the security of ignorance offered by disbelief. During the trial, the events of the past slowly evolve. Emily, who is coming from a provincial middle-class family, gets a scholarship to the University. One night she is left alone in the dorm and is attacked by an invisible force. The doctor diagnoses her with epilepsy and gives her medications. The girls condition despite the medications is getting worst. In the hospital she must contend with obsession, by now. Because of the unfolding of the negative channel, Emily is tormented by frightening visions. She sees snarling faces everywhere. Running to church is in vain, since the evil has already resided her; she sees the people in church monsters. Amulets, sacred religious objects and sacred places can only protect against evil forces; if someone has already been obsessed, they can no longer evolve their blessing duties. Unfortunately, in this case the objects are useless, already a professional is needed here. The pastor warns the lawyer, that for defending him, she should count on being tempted by the evil also. The lawyer calms him down, that she does not believe in such things. Like the evil would care whether the person it wants to hurt believes in it or not!!! I also meet this revelation almost every day, and moreover, some say it like they would be members of a superior caste with their disbelief. I think stupidity and ignorance are sins, and this is exactly why these people are potential victims of obsessive forces. Who has no soul, believes in only few things. It is increasingly difficult for people having faith, since their faithless fellows attract darker and darker forces into our world with their stupidity. The lawyer finds out from the news on TV that the murderer recently had been cleared of charge, has killed again. Hearing this news, the self-confident lawyer is overcome by fear. Fear like all negative feelings opened the door for negative forces. The woman experiences strange occurrences during the night. Opening door, creaking, and of course these happen at 3:00 AM. I wake up in the same hour at least three times a week, like it would be the time for Haunting, and my fuse blows often, interestingly just at Midnight, plus minus 5 minutes. The same time the priest sees shadows also, but he starts to pray immediately, so the shadows fly away. In case of different unexplained phenomena, it is very important to ask for immediate help from heaven. With our fear we only feed the strength of negative beings. Prayer excites energies, especially if it comes from our hearts that are able to protect us. At the trial, the medical expert concludes, that Emilys body functions have been shut down gradually caused by several psychic traumas and malnutrition. The girl was full of injuries which were obtained during the supposed epileptic seizures. Who has seen a possessed person before, either in a movie, or in reality, knows these symptoms. Science, specifically the questioned medical expert calls it scientifically epileptic psychosis and considers constant medical supervision and medication the only solution. The number of patients in Mental Hospitals as well as the psychiatrists needing treatment themselves is increasingly rising. Their method is not effective, since they cannot remove the invader, only can weaken the body. In this case the evil will look for another victim, and several times it is the therapist with his infidel character. This fact does not appear in the movie, but is important to note. Emily couldnt even eat, because every time she reached for food, she heard unbearable voices. Her condition became worse and worse. She was shouting, screaming, and a strange voice spoke through her. She was taken to her parents house and the priest was called to her. The creature in her entered into a debate with the priest. The lawyer calls an expert with multiple diplomas, Dr. Adani, dealing with the scientific perspective of obsession. The woman was balanced, clear-eyed, and was speaking understandably on a calm, pleasant voice. All her being and expressions reflect the presence of positive energies. Of course, the prosecutor objects. Fortunately the Judge is curious about the experts opinion, since the lady was studying obsession in her whole life, maybe her words are worth to give credits to. By the way, it is also a psycho-spiritual shock, when we pour a glass of water on a child or an adult being in a tantrum. Hissy is the reason that someone is fighting with negative energies. An eyewitness appeared for testifying, a doctor who was present at the ritual, but he has asked the chaplain to keep his involvement confidential. The doctor was supposed to observe Emily's physical and mental state. Based on what the doctor said, the girl was neither schizophrenic nor epileptic. The doctor confessed he has been praying again since then. The awareness of the girl about her possession is counter indicative of psychosis, since crazy people dont know they are crazy. When these phenomenons have started with me, I immediately visited a Psychiatrist. Luckily I found someone who was familiar with spirituality, and has given me good advice. The lawyer finds a medal with her initials, and takes it as a signal that it is time to enter the path of faith. The priest urges her to wear it, since it can defend her. At the lawyers apartment, the tape recorder recorded the ritual she got from the doctor present at the exorcism, self-activates. We can hear Emily yelling, barking. This phenomenon is simply boring to me. Everyday it occurs, that the switched off TV, radio, and PC turns on when I would leave home. The court calls the pastor to the stand. He says, he had requested authorization to perform the ritual from Church, and after receiving it, he has studied the written manuals. He fell asleep, but at dawn 3:00 AM., he woke up hearing strange noises. 3:00 AM allegedly is the demonic witching hour, mocking the Holy Trinity this way and to ridicule the followers. Jesus was crucified at 3:00 PM, 3:00 AM is an inversion of that. He said he smelled something burning, and saw a figure nodding in his direction. in an attempt to excite our fear. The priest has admitted that it scared the hell out of him. He confessed he has seen the demon ever since. 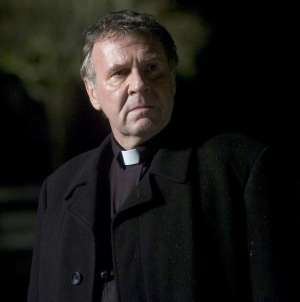 He performed the exorcism on Allhallows Eve. The audio made during the exorcism is played. The pastor warns the people present, not to talk to the demonic creature which possessed Emily, not to pay attention to it, and not to ask it any questions. No other person can be at my place when I protect someone, because the negative energy can settle on the person watching the act. When the holy water reaches her body, the evil appears immediately, and starts a fight for Emilys body and soul. The common prayer pisses the creature off. Who loses focus gets hurt. The evil possesses the bodies of the animals inside who attack the doctor. Emily breaks her ties and jumps out the window. They tight her to the floor, and she keeps mocking, her vital signs are growing, her pulse is 180. When the priest puts the cross on her body, she starts to coil. Cain, Nero, Judas, Legion, Belial, Lucifer, the embodiment of evil. The horse gets loose also. The exorcism is broken in half. When Emily wakes up, she is continuously harming herself. She has no longer contributed to the exorcism, so it couldnt be repeated, since without the consent of the victim one cannot help. It turned out that the girl had taken medication during the exorcism. According to him, she could have known the languages she spoke, because she could have learned them at school. When she spoke on dual voices, he explained it with every human possessing dual set of vocal cords; Tibetan monks are capable of activating both sets of vocal cords at the same time. The devil usually attacks through the left hemisphere, through logics. Speaking on foreign languages, counting, indicates the increased activity of the logical hemisphere. The left hemisphere hosts fears, while faith dwells in the right hemisphere. The doctor present at the exorcism does not appear at the hearing. The lawyer meets him on the street. The doctor apologizes, he is seemingly afraid of something, admits the existence of demons, looks up scared, steps back, and a car wades him to death. His fear has attracted his fate, even prayer couldnt overwrite it. If prayer is just a rhyme parroted, not coupled with whole-hearted belief and confidence, it will not help, even if we devote several hours a day to it. However, a few seconds of sincere utterance to the Celestials, is yet capable of attracting miracle. Fear is the sign of anxiety and disbelief! The Court recalls the chaplain. According to the priest, Emily deserves to be respected as a saint. Last night, on Allhallows' Eve Father Moore tried to cast six demons from my body. They refused to go. After the attempted exorcism I was taken to my room, and I fell into a deep sleep. I asked the Blessed Mother, 'Why do I suffer like this?"' Why did the demons not leave me tonight? "She said, 'I am sorry, Emily. The demons are going to stay where they are.' Then she said, 'You can come with me in peace free of your bodily form or you can choose to continue this. You will suffer greatly. But through you, many will come to see that the realm of the spirit is real. The choice is yours. " In the end, good will triumph over evil. Through my experience people will know that demons are real. People say that God is dead. But how can they think that if I show them the devil?" Stigmata have occurred on Emilys limbs. 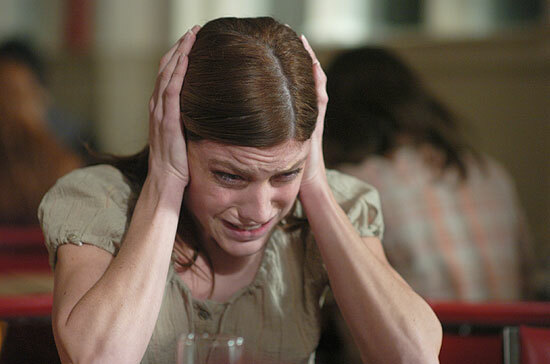 Emily refused another exorcism, because she has accepted her fate. But of course, the persecutor is skeptic about the words of Emily and the chaplain. He perceives the story as a superstition only, while calling himself a man of faith, but wants to appoint Emily sick at any cast accusing the priest for not taking her to Hospital. Facts leave no room for doubts. In the matters of God and the Devil possibilities are infinite and they continually contradict facts. If we exclude facts, skepticism will gain ground again. With doubt, verdict cannot be reached. The pastor is sentenced, but the jury recommends the sentence of time served. He was found guilty, but free to leave. Reason had a victory over reason, but the one was driven by faith. The exorcist priests operating under the Popes office cannot perform Mass or other religious ceremonies, but it is not officially admitted. This is the only moment in the film, I do not agree with. I think the quote has been wrongly translated initially. The right translation would sound and make sense like this: Work on overcoming your fear and trembling that leads to your own salvation. It was a little spooky, that at the end of the film when the lawyer went to sleep, and looked at her watch, it showed almost as much as mine, it was 11:14 a.m. on hers, and 11:41 on mine. According to numerology, this gives the number of 7, which indicates karma, but logic also. And when I finished writing, the bells began to chime. For me, these were strong enough signals, indicating that this film is particularly important according to the Celestials also. While watching the movie and writing, my body was shaking constantly, my kidneys hurt, and I struggled with nausea. Ah! Who is waging a spiritual battle must count on the constant attacks of the dark side. If we perform a spiritual course, we indicate to the other side that we picked up the gloves, we're ready to fight. But do the courses really prepare for a fight and the defense? When I talk about that being harassed at night again, folks gaining knowledge on such courses, or more precisely ones made argumentary, ask me, why I dont ask the angels to protect me? Well, if someone really enters the fight, is constantly tested by the Celestials. When can we testify the most of our preparedness? When we are the most vulnerable? In our dreams. I have undertaken my fate, so I accepted that every day and every hour in my life I can be attacked. I hope all fellows of mine are aware of this, and consciously assume the challenges when chasing spiritual (?) courses, teachers (?) week by week! After the trial Father Moore has not appealed. He stated that the case belongs to God, and not the earthly courts. Emily Rose's sacrifice was not in vain. Her tomb became a place of pilgrimage, visited by a lot of people. I hope more and more people will watch the movie about her, and my writing will contribute to as many people getting to know this, and that more and more people will be aware of the dangers of demonic forces.